This tool will allow one of our technicians to remotely connect to your computer and hopefully resolve the reported issue. You will be able to observe all the actions taken on your computer during the whole session and you can choose to terminate the session at any time. During this session you will also have access to an Instant Message tool that will allow you to communicate with the technician. Please note that you need to make an appointment for all remote sessions. 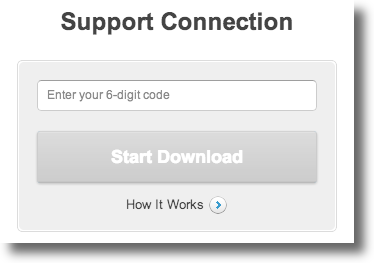 When the connect page appears, enter your 6 digit pin code number provided by our support team and click "Connect to technician" to download the LogMeIn Rescue applet. 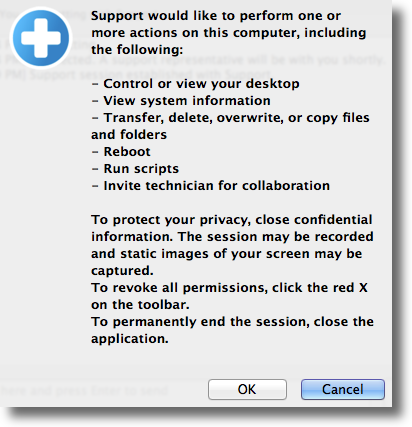 Select "Continue" once again to install the LogMeIn Rescue applet. Once the applet is running, wait for the technician to activate your session. You may be asked to give the technician permission to perform certain actions. Click OK to grant permissions. If you have any problems or can't get connected, please email us at support@simpletelly.com, adn try to include any errors and a full description of the fault.